… or rather six stories I’m fond of. 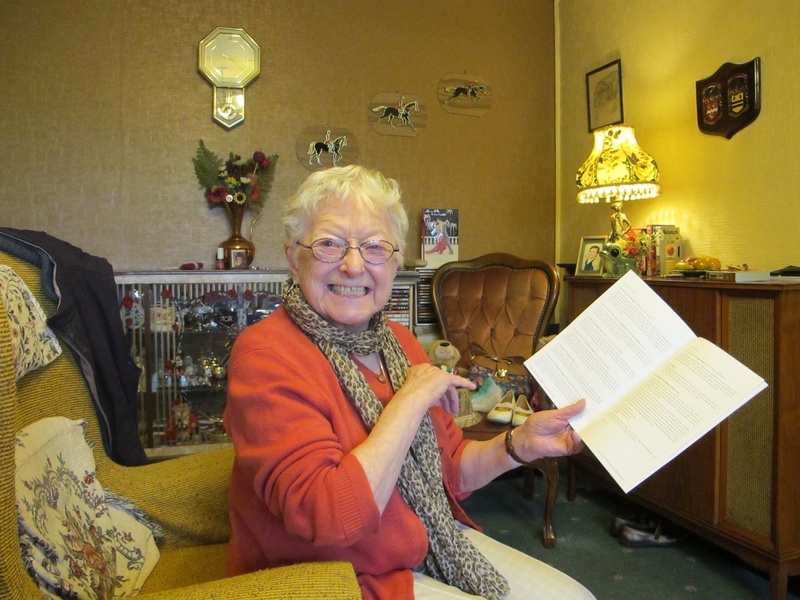 We are in the last week of the Storycircle project, a time to look back on two very full and very rich years of fieldwork spent getting to know Salford and listening to the stories of the people who live and work there. I’ve been thinking back on all the journeys I’ve made, getting to know the city by foot; up and down Chapel Street, from Langworthy Road to wind swept MediaCity across the violent motorway, from Ordsall to Islington, from the Angel Centre to the Lowry, accompanied by Jane Wood of Salford Lids, from Buile Hill Park to the Salford Local Studies Library on the Crescent. I’ve also been thinking back to all the stories I’ve been told over two years in which I’ve chatted to rhyming historians, gentle gardeners, committed community activists, housing executives hoarse from cheering the home team at the Etihad Stadium, ninety-five year-old tower block residents, brilliant community artists, local councillors and many, many more. Some of these stories were recorded and some were related after the microphones and cameras had been switched off; some sad and meditative stories and some more joyful and raucously funny ones. I wanted to bring together six stories coming out of the projects I’ve been most involved in that have stayed with me through this project. Each of these stories afforded me a valuable new insight and convey the unique narrative gifts and eloquence of their storytellers. 1. 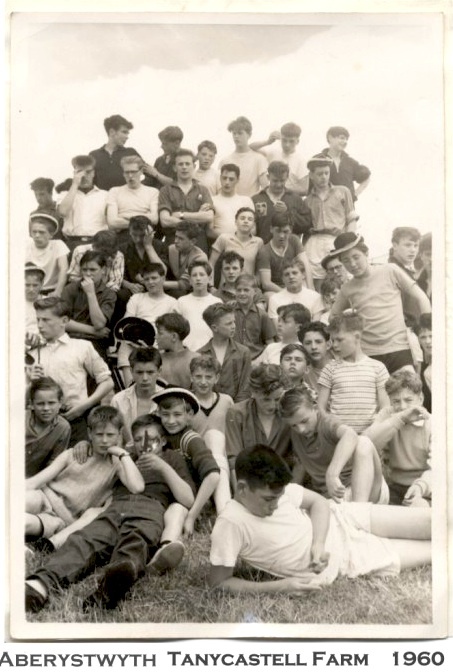 From Tales from Camp, our collaboration with Salford Lads Club, Nicholas Fagan related his experiences of winning a scholarship to go camping with the Club in 1939. The story is short but evocative and was edited together by Nicholas’s daughter Ann with footage from the Club’s archive of its pre-war camps. 2. When I got together for an evening with four women who had played a vital role in establishing a community centre and community activities on the Islington estate in Salford, there were so many rich and wonderful stories it is difficult now to select one or two. This one really stood out for me though. Here Maria Fitzgerald, Bev Carr, Ursula Sossalla-Iredale and Sue Rigg remember the campaign to establish a community space at the Islington estate and reflect on how getting involved in community work changed each of them. 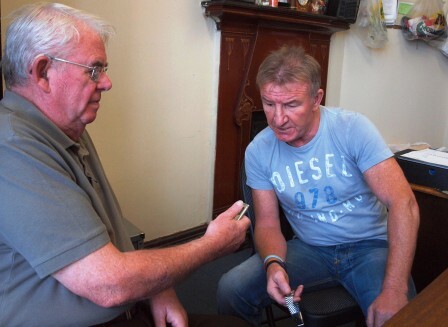 Other stories from that evening can be listened to here on the Islington in Salford Stories website. 3. 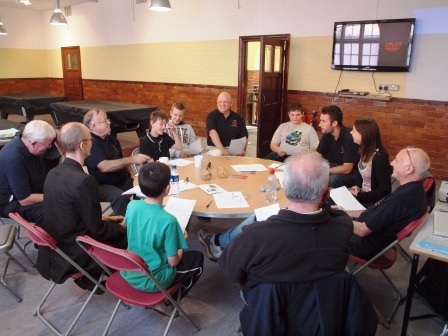 In Summer 2012 I ran a couple of workshops with the creative writing and the gardening group at Start in Salford. The workshops were designed to create short personal vignettes that responded to the theme of the Secret Gardens festival, cherished places. Again it is difficult to choose just one of the memorable stories I recorded over the course of those two sessions but this one from Patricia Andrews has an extraordinary imagistic quality, Dylan Thomas-like in its jagged poetry. I love it. 4. 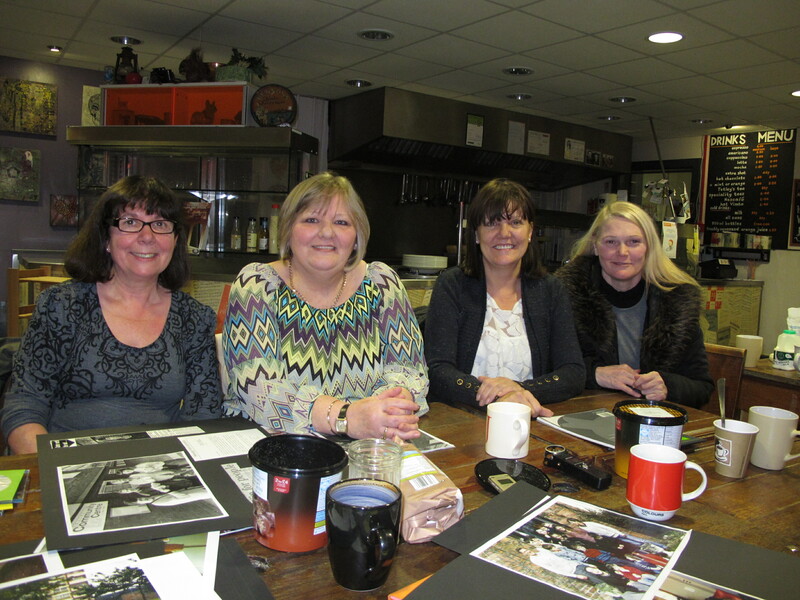 The next story is from a fascinating evening reunion of the Salford International Community Exchange Group (SICEG). SICEG was a bold international exchange project run independently and voluntarily by a group of Salford youth and community workers. 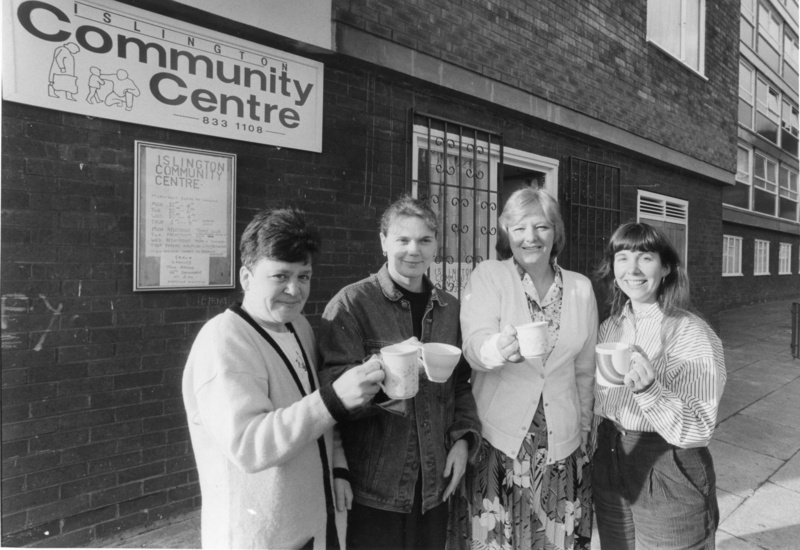 For about ten years SICEG raised funds, established relationships with European partners and built and sustained networks of cooperation and self-help in Salford, all of which created opportunities for people living in Salford’s inner-city areas to gain experience of visiting and staying with families overseas. Many of the trips were to the Eastern bloc countries, to Poland and East Germany. Here Richard Bundy then a youth worker in Ordsall reflects on the value of those trips from the perspective of youth work. 5. On a lighter note, and returning to the community activists of 1980s Islington, I couldn’t resist this wickedly funny story of a fund raising auction and a red nighty. With warm thanks to everyone who has shared stories with me over the last couple of years. We are really excited to see the upcoming Kinofilm screening of Shelagh Delaney’s Salford, the profile of the playwright that the young Ken Russell made for the BBC arts series Monitor in 1960 before embarking on his film career. 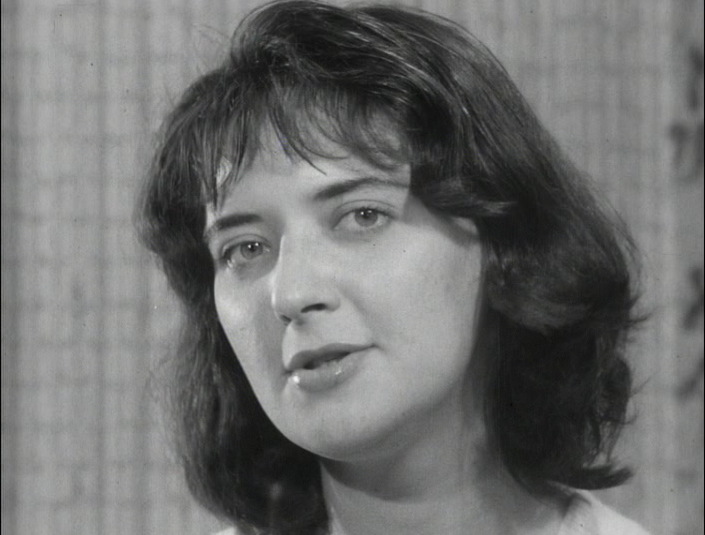 Shelagh Delaney was just twenty when she was profiled by the BBC’s flagship arts programme. The film catches her at a fascinating time in her life, still making sense of the extraordinary critical success that followed the West End run of her play Taste of Honey; success which had created opportunities to travel, to leave Salford and to see her home town anew through different eyes. At that point, Tony Richardson’s acclaimed film adaptation of the play was still a year or so from reaching the big screen. 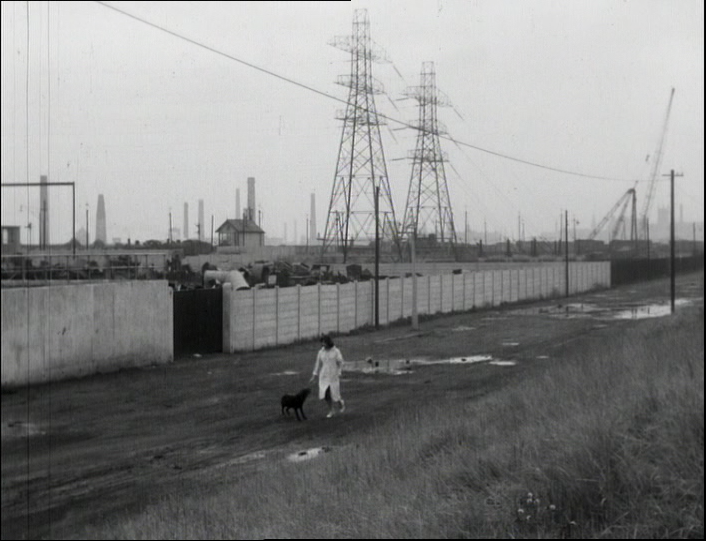 The documentary follows the writer as she walks the streets, visits the bustling Cross Lane market, introduces us to its vivid characters, and runs alongside her black Labrador across Salford’s edgelands down by the Ship Canal. At home over a cup of tea Delaney reflects on her relationship to Salford and the injustice and waste of Britain’s two-tier education system. As a guide to the city she reveals herself to be wise well beyond her years but also captivating to watch. Tall and rangy, she towers over the people she chats to in the street and makes a wholly unselfconscious performer with an open, candid face and an arresting, measured, lyrical turn of phrase, as far from the drilled media savvy persona as one can imagine. What stands out about Delaney’s account of Salford is its ambivalence. She describes the city as both vitally alive and dying; a source of nourishment for the writer but also like a drug: a place you might like to leave but can’t. A place that is curious and restless, and yet “secure, like a rock.” As she leads us round the city streets she says: “For a writer a place like Salford is worth its weight in gold. Its got everything a writer could ever want. The people who live here have a terrific vitality. The whole place is alive, there are people teeming into it all the time, buying and selling and haggling and quarreling. I think it’s a fabulous place, and the language is alive. It lives and it breathes and you know exactly where it is coming from, right out of the earth.” But then later she adds: “Salford isn’t only alive, it’s restless, with all the comings and goings on the docks. And at the same time somehow or other it seems to be dying…so much seems to be old and crumbling or neglected.” She talks about the restlessness of the young and “the chaos of middle-age, when it is too late to start again and it’s too early to give up.” “Young people in Salford are the most restless. Some people are not knowing where to go… People of my age want to go somewhere and they know what they want to do and they are all like tethered, like a horse on a tether, jerking about, waiting for somebody to cut the tether and let me off, let me go. This is the thing about the whole place, people are moving from it. 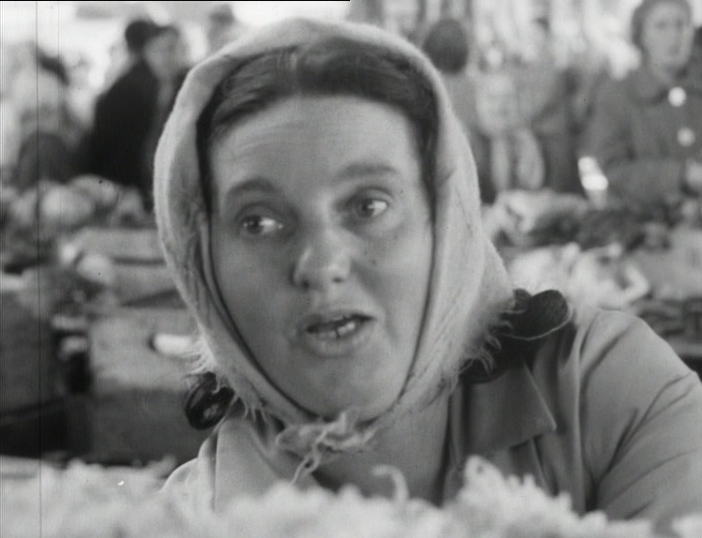 They are tearing down.” Ken Russellwho worked at the BBC making short documentaries for Monitor from the late 50s to the mid-60s, beautifully captures the expressive faces of the people of Salford as they haggle in the market, and the rhythm and tempo of city’s teeming street life is cut to raw, raucous trad jazz. 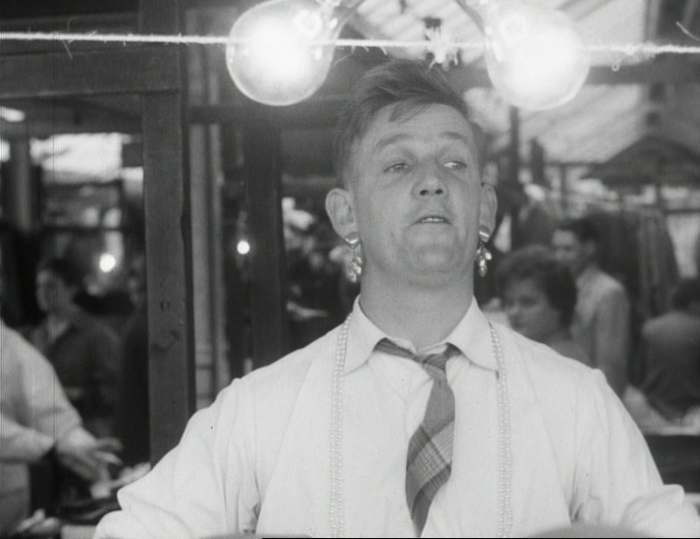 Humility and restraint are not qualities generally associated with Ken Russell’s oeuvre as a filmmaker. And yet the great gift of Russell’s brilliant documentary lies in how little it seeks to mediate and speak for Delaney, how much it foregrounds her voice, allowing us to see the city through her eyes. Watching Delaney talk at length, uninterrupted, chain smoking at her dining room table, is a rare, mesmerising pleasure in an age of the big beast, celebrity arts interviewer clamouring for our attention. Shelagh Delaney’s sensitive, subtle account of the relationship between her writing and the city she grew up in is a wonderfully fitting and, despite being made over half a century ago, a surprisingly contemporary and relevant addition to the first Secret Gardens Festival. 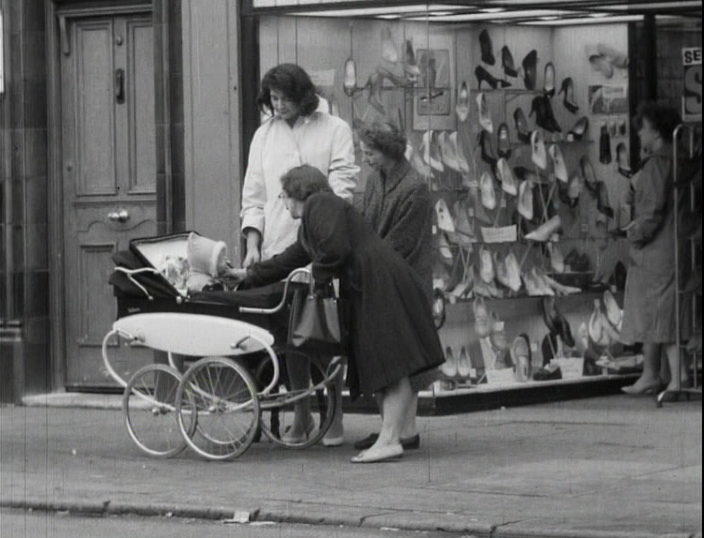 The Kinofilm screening of Shelagh Delaney’s Salford in association with the BBC is part of the Secret Gardens Festival Showcase on June 23rd. ‘100 Camps’ is a collaboration between Salford Lads Club and our Storycircle team here at Goldsmiths, University of London. This project centres on a multi-layered digital storytelling process to coincide with the recent celebrations of the Salford Lads Club’s 100th annual camping holiday to Wales. Camping remains a core part of what the club does, and offers members a chance to experience outdoor activities, learning, discipline and bonding. 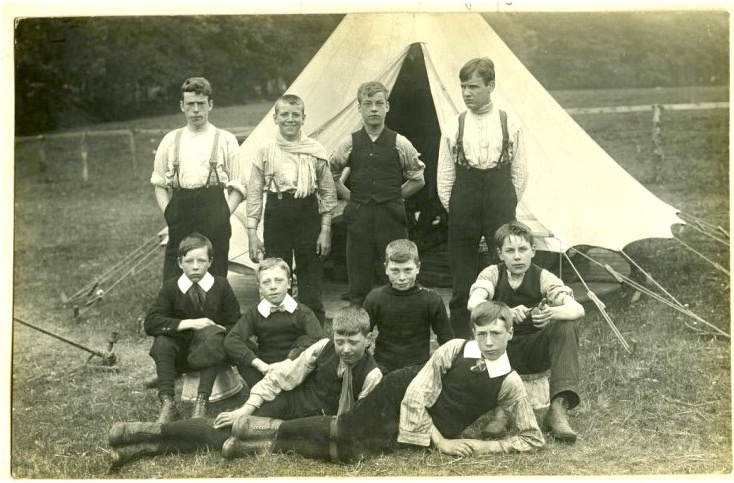 Over time, generations of lads and girls have participated in the club’s camping rituals – daily tent cleaning competitions, peeling and preparing vast amounts of cooked potato, swimming in the local rivers, playing football with local Welsh teams and going dancing with Welsh girls at the Kings Hall in Aberystwth. While the Salford Lads Club’s long history of camping in Wales has been well documented by photography and film footage, these materials have been deteriorating and becoming disorganised. This situation presented an opportunity to explore the difference digitisation might make, not only to the preservation of this rare amateur archive, but also to the possibilities of widening interaction and creative reproduction with it. Club members of all ages worked in collaboration with the Goldsmiths research team to undertake a collective exchange of stories about their memories from attending the camp. 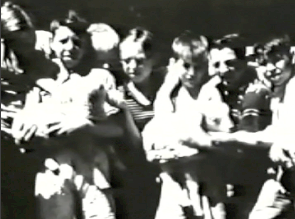 The audio from these stories was recorded, and members were supported to illustrate them with edited, remixed and recombined archival footage. Those participating in the workshops have surprised themselves with their ability to work with laptops, digital media and video editing. Several of the club’s officers have shown their natural ability for recording digital audio stories with other members, while others have already begun to consider ways of filming the next camp with these ideas in mind. 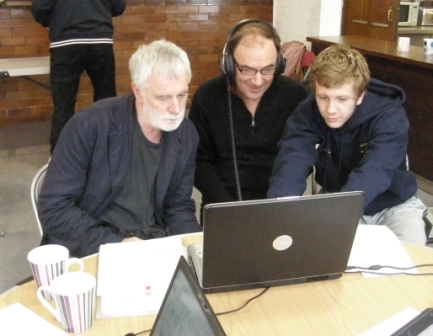 The Salford Lads Club’s unique archival collections and materials have proved to be a vital narrative resource for the project. But they still contain a wealth of personal stories yet to be told. The Storycircle workshops have played an important role in simultaneously encouraging greater access and exploration of this partially digitised archive, while also supporting further digitising of these precious materials. As a result of the collaboration there is a clear sense that the Storycircle project has helped to consider more explicitly the collective value of these potential stories, and we will be continuing to provide background support to their efforts to secure a safe future for them at the club. [Left] One of the final films made. These will be available for viewing very soon! 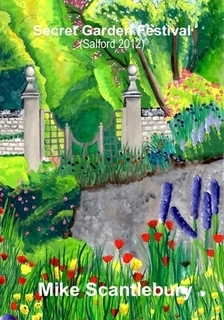 As part of the wider Storycircle Project and working in collaboration with Goldsmiths, over the last year, students in the Graphic Design and Textiles departments at Salford City College (Pendleton Campus) have drawn on the theme of the Secret Garden as inspiration for their summer sketchbook work and final projects. Their initial work on the project saw them engage with the Salford Secret Gardens Festival held at various locations around the city in June 2012 (http://www.secretgardensfestival.net/). 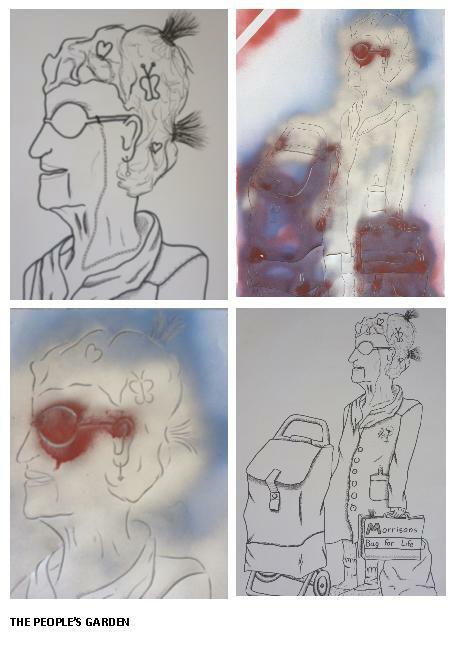 One student, Jenny Andrews, saw her illustrative work published in Mike Scantlebury’s festival-related book, featured on the front and back cover as well as three internal illustrations. Of her achievement, she said that it was a fantastic experience and that she really enjoyed getting out there into a real-world situation and seeing her work used in practical terms. More recently (this autumn) students have been completing their Secret Garden projects and the range and variety of interpretations has been quite stunning. Here are just some examples of the work generated by students in response to the Secret Garden theme. As part of a recent open day, several students presented a QR trail of their Secret Gardens project work, with links drawn between a main poster, hidden sketches and an audio narrative of their engagement with the Secret Garden theme. Below is an example by Jenny. The multimodal mix of analogue and digital narrative exchange really engaged visitors to a college Open Day event held on 10th November 2012 – so much so, the students are now hoping to take this model one step further and to celebrate their participation in the Storycircle project with a future exhibition comprising image, sound and digital display – early in 2013. Watch this space for further news on this! 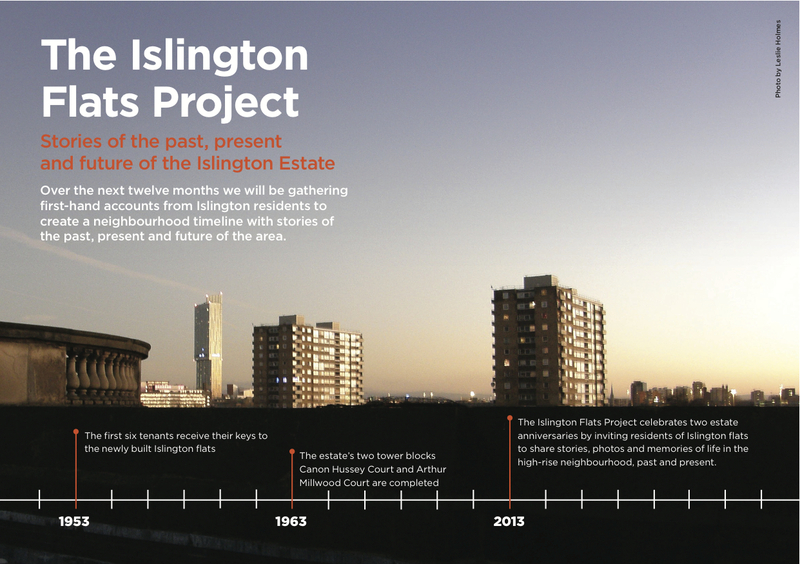 Last weekend at the Islington Estate’s annual barbecue we launched the Islington Flats project which will focus on the creation of a neighbourhood timeline, a website where resident’s stories relating to the past, present and future of the estate will be shared. The timeline which will be completed in 2013 will mark two important anniversaries, that of the tower blocks (50 years) and of the larger estate (60 years) and will feature residents perceptions and memories of the neighbourhood, alongside important stories of the processes of community formation through the tenant association. As important as these stories of community formation and of the neighbourhood are they leave us on the outside of the space where most residents’ lives are led, the domestic domain of the flat. From the outside the tower block presents an inscrutable mask to the world, with few clues as to the diverse lives of those who live behind its façade. On the other side tenants make their homes in flats which are like blank canvases ripe for creative appropriation, adaptation and display, within the terms of a social tenancy agreement of course. The changes we make to our décor, the objects we display in our homes are vital carriers of memory and story, durable things that link the past with the present and the future. In thinking about the processes through which latent stories bound up with what is displayed or used in the home might be drawn out, gathered and shared among residents of a housing estate, I have been looking at the work of two anthropologists. I came across Alyssa Grossman’s work earlier in the year at the Bangkok Experimental Film Festival. Alyssa is a visual anthropologist whose work focuses on memory practices in post-socialist Bucharest. 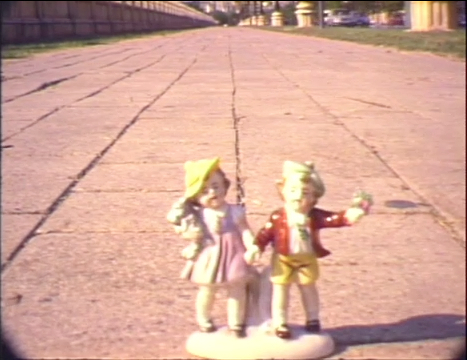 Her brilliant film Memory Objects, Memory Dialogues, made with Selena Kimball, was the product of a fieldwork process in which citizens of Bucharest were invited to rummage through long-discarded household objects and to share the thoughts, recollections and stories that the encounter with these objects provoked. Among the fascinating stories of Ceacescu-era Romania that emerged from this process was one told to Alyssa by Zoltan, a sociology lecturer. Zoltan recalled that under Ceacescu everyone who owned a manual typewriter was required to register with the local authorities who would take a sample of the type face in order that anonymous anti-regime literature could be identified and traced back to its source. Told in a tone of amused bafflement at the perverse lengths that the regime would go to, Zoltan recalled waiting in line with others cradling their typewriters, an annual ritual because, as the keys wore down, so the authorities needed to keep abreast of the minute changes in the typeface. Central to Alyssa’s work is the potent nature of neglected and discarded household objects, their ability to trigger insights that bring the past into the present in ways that are more charged, evocative and unexpected than consciously commemorative use of objects in the home. The premise for the fieldwork that Miller undertook with Fiona Parrott is that the interiors of our homes, the styles of decoration, the knick-knacks we collect and display constitute a form of self-revelation: these things and the way they are displayed express the person and furthermore shape and condition the way they live. The challenge is to know how to listen to what household objects are saying. Miller’s book is made up of portraits of thirty households, interpretations of the objects and people encountered in each home which explore the ways in which relationships with things and relationships between people are interwoven. Alyssa’s film on the other hand provides individuals an opportunity to write their own account of what long forgotten or neglected objects mean to them, a text they then perform to camera before being interviewed about their memory object. Inspired by approaches to memory and narrative such as these, as well as the long-standing interest in object–focused stories in the digital storytelling movement we will be inviting residents of the Islington estate to share the stories of treasured and unique or everyday and familiar things in their flats. Who knows what stories and objects this invitation will throw up? 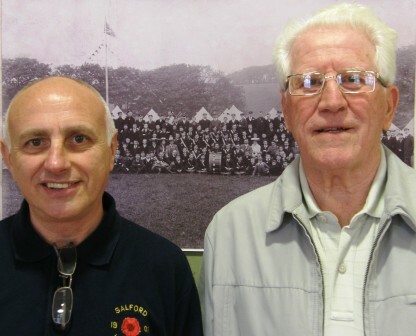 Last week I stood in the games room at the Salford Lads Club while a new permanent display to celebrate their 100th annual camp was being mounted under the supervision of the Club’s Secretary Leslie Holmes. One hundred framed images, a photograph or item of memorabilia from every one of the Club’s annual camps to have taken place between 1904 and the centenary year of 2011, surround the visitor, spaced evenly around the walls. The exhibition is open to the public on Saturday 16th and Sunday 17th June between 12 and 4pm, and I urge you to see it. The exhibition captures singular moments in the lives of some of the many hundreds of young working class Salford Lads, given an opportunity to get away from the city during Whit week, to take the country air and enjoy the pleasures of camping, swimming in rivers and visits to the seaside. This is also an extraordinary visual record of the Club’s collective history and of the rituals that bind people together and preserve continuity when all about is change. The display deliberately opts to interweave the composed and the spontaneous, the formal group, standing to attention in rigid rows, and the relaxed or energetic throng. The postures and clothes change dramatically, somehow the faces recur through the decades. Only a very few of these images have been on display previously: many have not been shown publicly before, and several photos have been dug out from the personal collections of the Club’s officers and volunteers. In this respect, as Leslie Holmes suggests, the photographic exhibition constitutes a previously hidden history, finding a new visibility and relevance, both for the Club and for the wider community where connections to the Club stretch back through the generations. And it visibly places the Club’s recent camps into a historical continuum that begins in the first decades of the twentieth century. 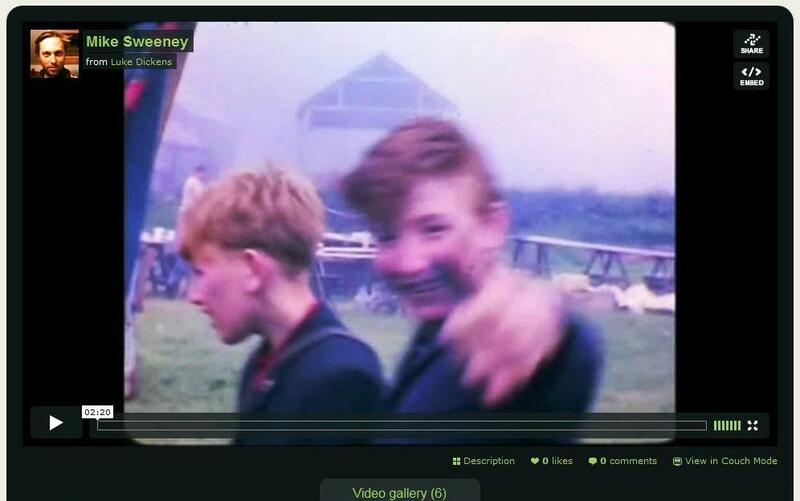 Equally fascinating and unique is the Club’s moving image archive which contains footage of the annual camp from the 1930s to the 1980s in a range of film gauges and formats, 16mm, 9.5mm, super8. 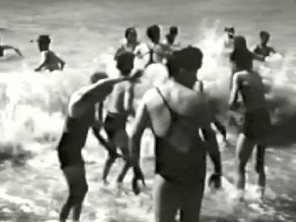 Just as the cine-film of the family holiday aims to produce a positive record of the family when it steps outside the constraints of everyday life and into the sunlight, so too documentation of the camp celebrates a highlight in the Club year when its members leave aside weekly routines for carefree country pursuits. 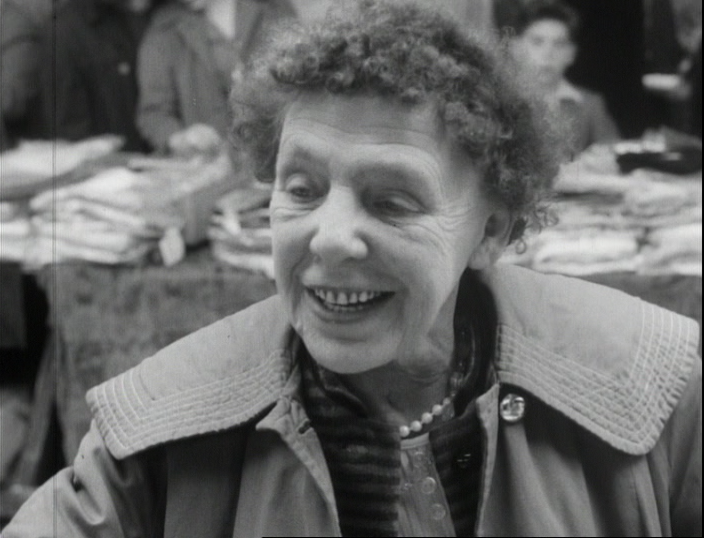 The extent of this rare moving image collection, approximately forty reels of film (or ten hours), some of which was digitized and preserved by the North West Film Archive in 2001, shows that as well as pioneering informal education as an evening school and library, the Salford Lads Club has been a hub of alternative media production from the 1930s onwards. Those of us who are sometimes tempted to think that our image-making capabilities are on an upward curve of innovation evolving ever more sophisticated and refined technologies over the last eighty years or so, might be surprised by the richness, tone and beauty of the footage from previous decades, particularly the first 16mm colour reels in the early 60s. Over the last few months I’ve watched this footage from the Lads Club camp many times. There are striking images from every decade since the thirties which are now etched on my memory: of city boys tentatively holding placid young lambs; of plunging into the river – deep, deep blue on film – and splashing with abandon; of the simple unalloyed pleasure of slaking a thirst with a glass of lemonade, of men and boys in modest bathing suits at the seaside, walking awkwardly over pebbles at the water’s edge; of burly men mashing spuds in industrial quantities and of the melancholy sight of tents being taken down and blankets being folded away for another year. 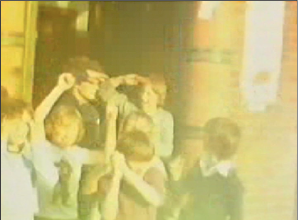 One of my favourite sequences comes at the end of the film of the 1977 camp. Many of the reels in the archive begin with a departure from the club and end with return. 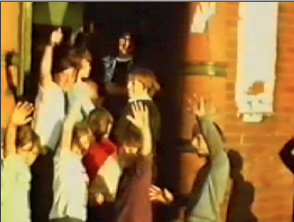 In this sequence of return the Club is bathed in golden sunshine and the camera tilts down from the iconic green sign above the entrance to a group of returning lads. As they walk into the building they turn and wave to the camera, a gesture that is one of the running motifs of the camp archive, disappearing across the threshold into the Club, a kind of homecoming. No sooner have they disappeared from view than they spill out across the threshold and into the sunshine again, as if they were not yet ready for the holiday to end, as if they want to hold on to the liminal moment. As they walk forward hands raised exuberantly, light floods the image and the reel ends. 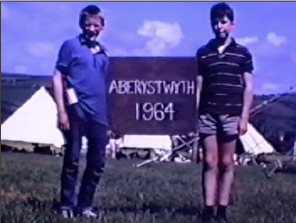 The digitization of some of this footage has made it available to members of the Club to reedit and use in the process of telling their own Tales from Camp. 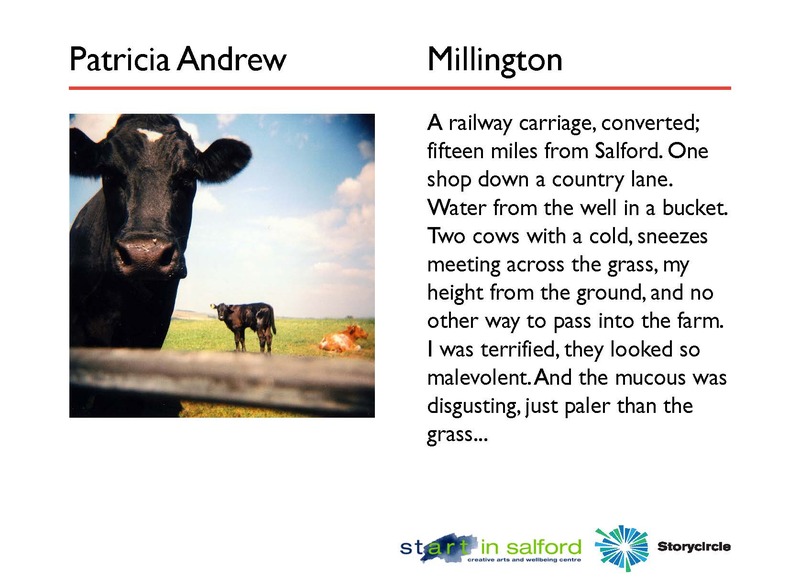 These Tales produced in workshops with Storycircle in association with DigiTales will be showing at the Club this weekend alongside the photographic exhibition. Look out for a compilation of footage from the Club archive on the Quays link bus in the coming weeks. What are your memories of Buile Hill Park? Do you have photographs of yourself in the park? Come and share them with Start in Salford and Storycircle on June 14th at the Old Bowling Green, Buile Hill Park. 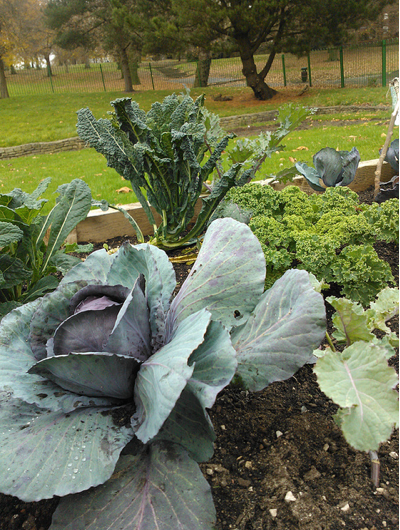 Parks and garden lovers, young and old, are invited to share their photographs, memories and experiences of Buile Hill Park on the occasion of Start in Salford’s special celebrations of the first anniversary of their community growing space, Start in the Park. As part of the Secret Gardens Festival happening all across Salford in June Start in the Park are having a special 1st birthday celebration at the Old Bowling Green in Buile Hill Park on June 14th between 12.30 and 4pm. Everyone is welcome to visit and enjoy the garden, to see the fruits of a year’s growth and have a fun afternoon of stories, performance, willow sculpture, music and food with the Start Creative team. Start in Salford will be joined by the Storycircle project which will be inviting members of the public to contribute their memories of the park to be included in an audio slideshow that will be presented, alongside Start’s specially created stories, at the Secret Gardens Digital Showcase at MediaCityUK on Saturday 23rd. Start in the Park’s 1st Birthday is at The Old Bowling Green, 14th June 12.30-4pm. 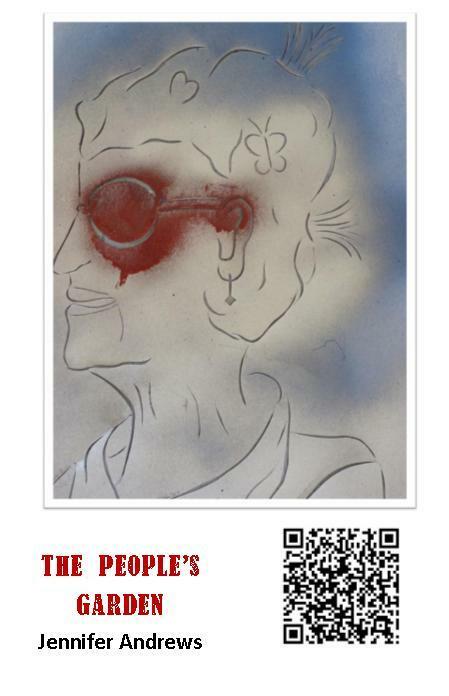 The Secret Gardens Digital Showcase is on 22nd and 23rd of June at MediaCity locations. For more information please visit the Secret Gardens website (http://www.secretgardensfestival.net/). Two hundred miles apart the Islington Estate near Chapel Street on the Salford side of the border with Manchester and the Pepys Estate in Deptford South east London have much in common. 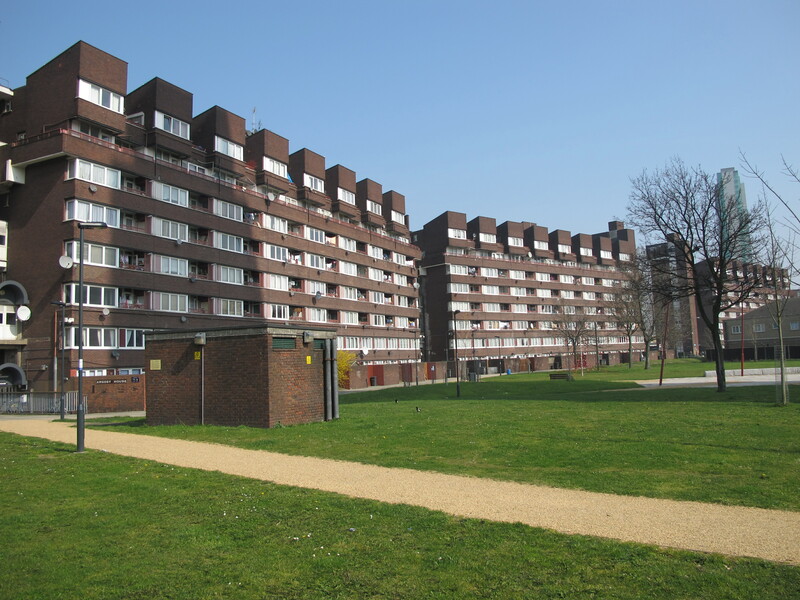 The Islington Estate, with its two ten-storey tower blocks at the heart of the development, dates back to 1963 and is the older of the two by just three years. The Pepys Estate was created by the Greater London Council and opened in 1966, soon afterwards it won a Civic Trust design award and was commended as “an impeccable scheme.” The origins of these two estates therefore date back to the heady high-rise mass social housing boom of the early to mid sixties. Like Islington, Pepys was planned with a mix of building types: three and four-storey flats, eight-storey maisonettes and three twenty-four story tower blocks. Originally covering an area of 45 acres and with 1,324 homes Pepys, however, dwarfs the Islington Estate with its 300 or so properties. 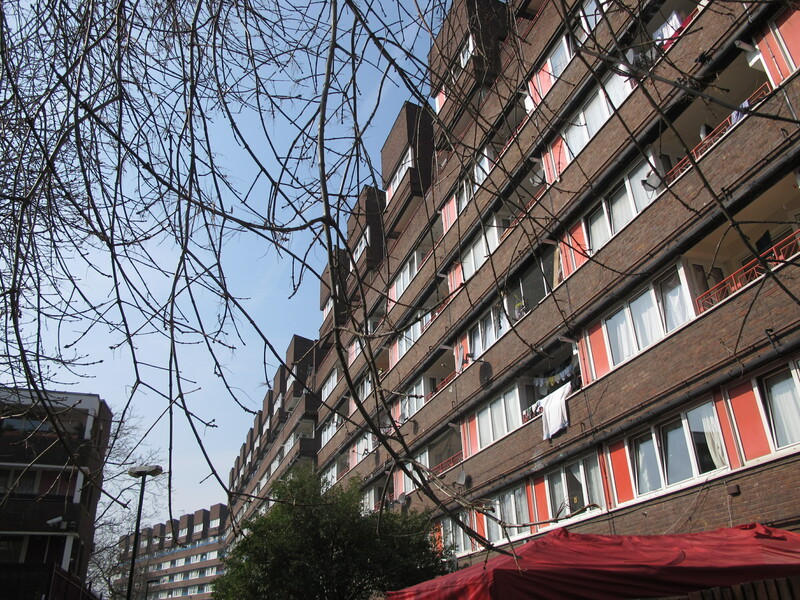 During the 1990s and early 2000s the Pepys estate was substantially redeveloped following consultation with tenants who made a strong case for refurbishment rather than demolition. 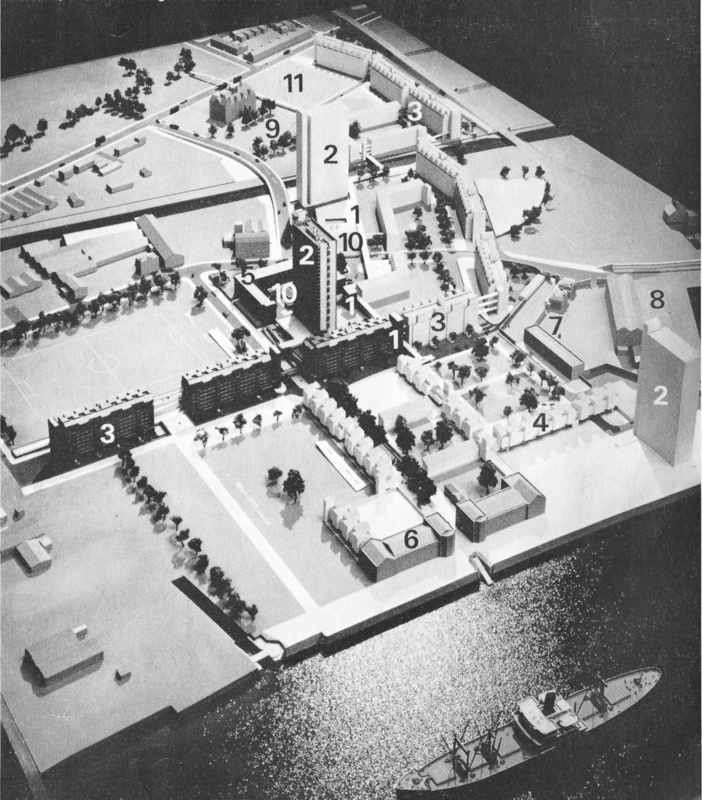 The sum of the changes was, in the words of this 2008 report on regeneration in Deptford, ‘focused on removing many of the design aspects that were most celebrated when the Pepys Estate was first built – the ‘streets-in-the sky’ catwalks…that destroyed neighbourhood connections and turned the estate into a maze.’ Both the Islington and Pepys estates are located in inner-city areas (Deptford, Chapel Street, Salford Central) that contain some of the most deprived wards and neighbourhoods in the country. And each has experienced a plethora of area-based public regeneration programmes since the early to mid nineties. On a morning of brilliant spring sunshine in late March our colleagues Hessel de Boer and Kevin O’Neil from the Islington Estate Tenants and Residents Association on a visit to London met up with a tenant from the Pepys Estate for coffee and a discussion on regeneration and redevelopment, community activism and the tower twinning idea. For our colleague from the Pepys Estate the idea of twinning tower blocks raised a number of questions: How might a twinning framework and activities be designed so that tenants could see a clear benefit to their involvement? Would the focus on tower twinning as a way of promoting cultural exchange translate readily to a different context, that of a large estate in a global city where over seventy languages are spoken and which successive generations of refugees and asylum seekers have called home? After our chat near Kings Cross we headed south and took a wander around the Pepys Estate, bathed in bright sunlight, ending up at a glittering River Thames under the shadow of Aragon Tower. Aragon Tower was formerly part of Pepys Estate but was sold to private developers by Lewisham Council to raise funds for further redevelopment in 2002. Some readers might remember that in 2007 the BBC broadcast a docu-soap called The Tower juxtaposing the lives of Pepys tenants with the newest residents of refurbished upmarket Aragon Tower. Although The Tower cast a revealing eye at the new frontiers and agents of gentrification in South east London, many Pepys tenants felt unfairly treated by what they regarded as the programmes preoccupation with portraying estate life as dysfunctional. 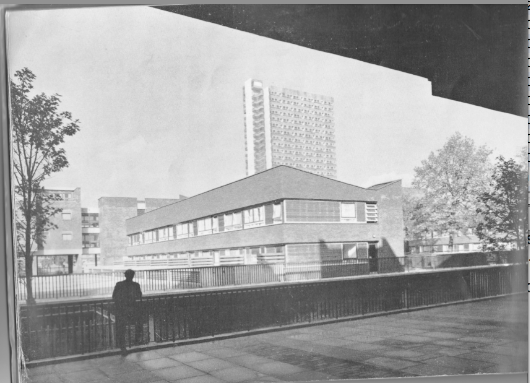 Unusually perhaps for those who participate in television formats on the blurred borders of documentary, reality TV and soap opera, the views of the subjects of The Tower, residents of the Pepys Estate, subsequently found an outlet through this short video made as part of Spectacle’s Poverty and Participation in the Media project. The injuries of media power may not be quite as hidden as they once were.